Rotec is now able to offer its customers a one stop shop combining the flexibility of a fabrication shop with the precision of CNC engineering. 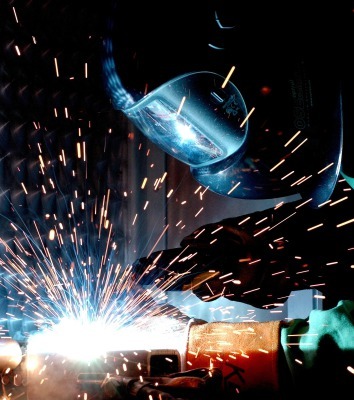 Our Lloyds approved coded welders are able to offer MIG /TIG welding on large or small items, working with Steel, Aluminium and Stainless Steel. In our dedicated Fabrication shop, we also braze machined parts for clients, removing the need to track their parts through numerous third parties and reducing lead time. For many clients we provide a one stop shop providing them with a finished and assembled, tested product. Allowing them to concentrate on their business and customers. Via our established supply chain, we regularly buy bearings and fasteners to suit these projects, and are able to offer our discounts to our customers while taking the stress off managing the stocking of parts and sub-assemblies, ensuring our clients are receiving a competitive price for the finished unit.